With the wedding season about to start, and spring finally making an appearance we have been busy preparing orders for this coming season. We happened to come across a gallery and short youtube video highlighting one of our customers wedding from last year that we thought we would share. What an honour it is, whenever someone asks sparklingexpression to take part in such a special day like this. You may have recalled this blog update from last year at the National Arts Centre in Ottawa. Here is the link to the youtube video highlighting the wedding and giving you a peek at the vinyl decals and wedding dance floor decal we had the pleasure of making for this wonderful day. 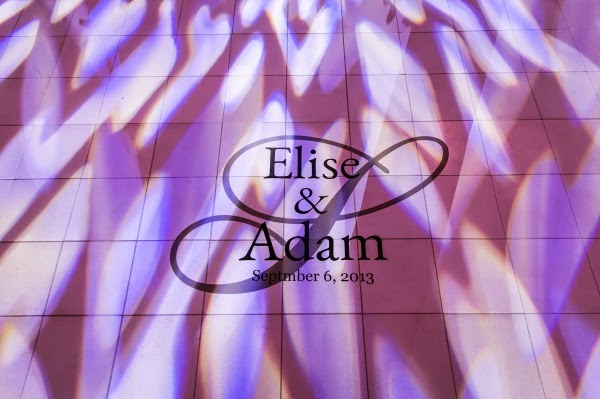 If you would like to see some amazing photographs of the vinyl decals and this wedding, unioneleven photography took some amazing pictures, including the one below. The photographs can be found at this wedding gallery. If you are wondering who helped make this beautiful wedding happen, and organised it, then please stop by the facebook fanpage of Toast Special Events.